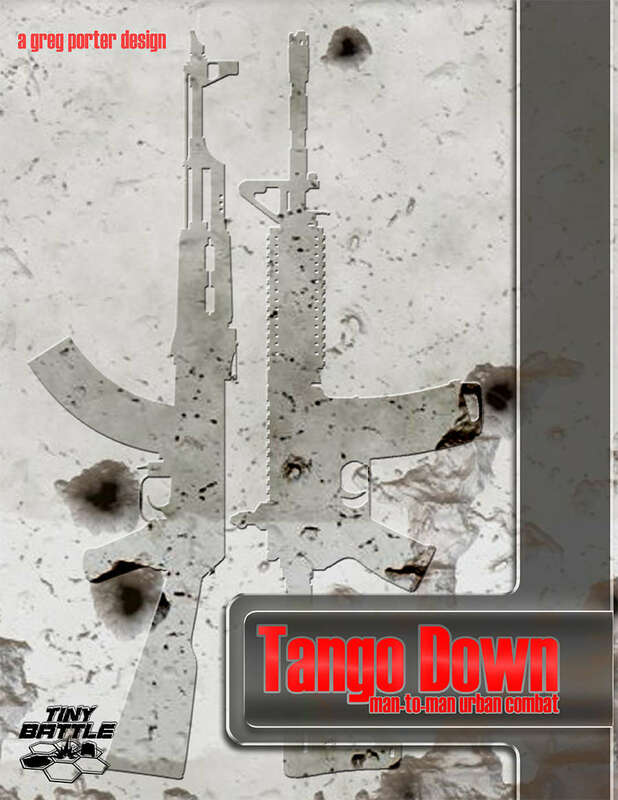 Tango Down is a tense game of modern house-clearing operations, with scenarios taken from both the headlines and the movies. with each member having a counter and specific stats, augmented by Action cards that cover the fog of war, special tactics and event timing. Also included are leaders, marksmen, fanatics, barricades, assault shields, breaching charges and more. into a Tango Down battleground. 2 x 11" x 17" map files, one depicting a trashed office building and the other depicting an abandoned warehouse. Two-part 8.5" x 11" versions included.